Know someone who uses this club?? Mention his/her name and receive $25 off at sign-up, and that member will receive his/her next month free! Reach 5 referrals as a member and get a YEAR FREE!! CHECK OUT OUR SMALL GROUP TRAINING SCHEDULE! 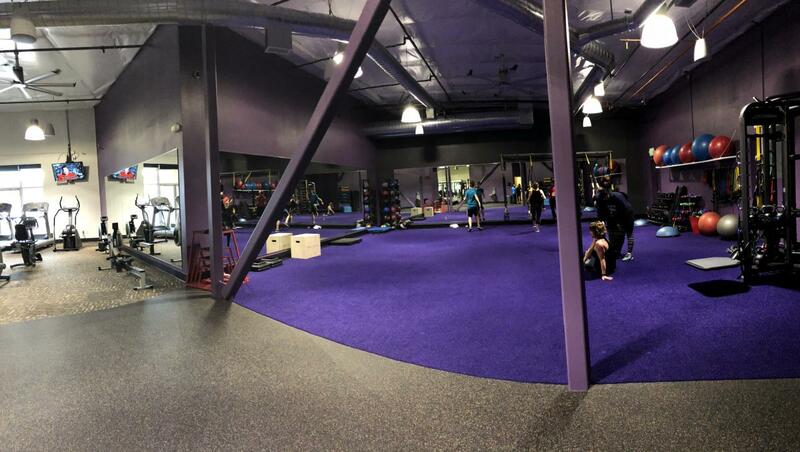 Owner of Anytime Fitness, Caughlin Ranch and Galena, Suzanne is a N.A.S.M Certified Personal Trainer. She is also accredited with I.D.E.A. and A.F.A.A. She has worked in the fitness industry for over 20 years with an extensive background in Ballet. She is particularly enthusiastic about helping special interest groups including seniors and sports specific training for children with a focus on agility, speed, balance and proper form. She is a strong believer in the benefits of functional fitness and is excited to bring a “State of the Art” fitness facility with only the best of trainers and teachers to Reno. Ady Grate is a native Brazilian born in Araranguá, SC. She moved to Reno in 2004 where she met her husband Gary Grate in 2008. They currently own and operate Charles Gracie Jiu-Jitsu in Reno and Carson City. She has her Brown Belt in Brazilian Jiu-Jitsu and helps train women in the art of self defense. Ady attended Unisul college in Brazil. She is the wizard behind the curtain of our operation. I have been a fitness enthusiast for the majority of my life. Staying active in any way, shape or form is the 'name of the game' for me, and I believe physical activity is nature's best remedy for nearly all ailments. I have been involved in many sports: basketball, football, baseball, soccer and almost any outdoor sport you can think of. Throughout my life, I have been a basketball coach/trainer, professional whitewater kayaker, personal/senior/group fitness/sports trainer, and many others. I am dedicated to helping others achieve their goals, and finding happiness in a healthy lifestyle. Julie is a certified personal trainer with a diverse background including track and field as well as dance. She remains competitive racing horses including 50 mile endurance rides as well as barrel racing. Her expertise is working with seniors helping them concentrate on balance, agility, core strength and cardiovascular endurance. We are happy to have Julie as part of our staff. Kyle Shade is an ACE personal trainer that earned his degree in Exercise Science from the University of Southern Indiana in 2010. Since then Kyle has worked with clients in a 1 to 1 and gained experience in orthopedic and cardiovascular rehab settings. Kyle focuses on functional training, body recomposition, and active aging.